It had been a long and treacherous four years. At some points, it wasn’t clear who was winning the war and at others, it seemed that Germany would succeed. Although it was hoped World War One would be short, it had been anything but. With the harm, uncertainty, and destruction it created worldwide, it felt like 1,000 years to those involved. The finality of it all happened on November 11th, 1918 at exactly 11 am Paris time, this is now known as Armistice Day. The day on which we now pay tribute to those brave men and women who fought for their countries. 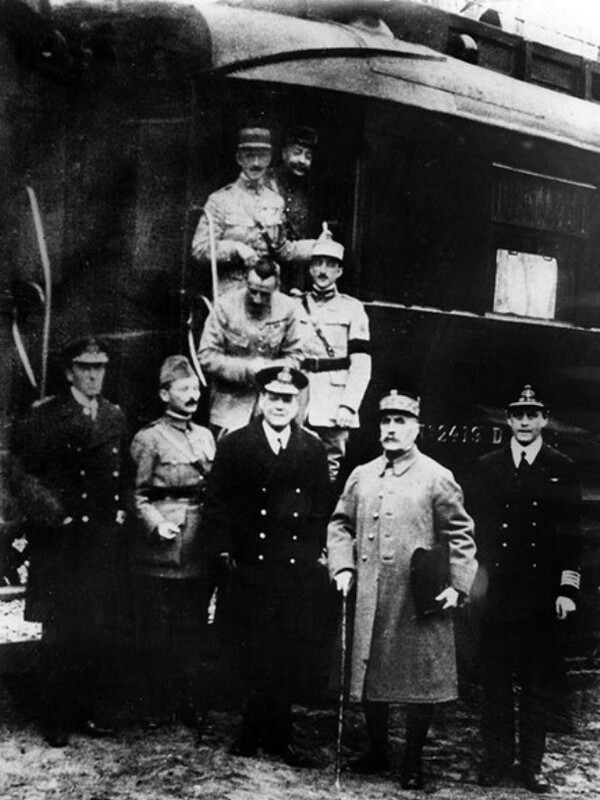 The armistice to end the war was signed by German politician and publicist, Matthias Erzberger on the railway coach of Ferdinand Foch, a French general and military theorist. However, the series of the events that had led up to this moment had begun much earlier. In January of 1917, the British intercepted a message from Germany attempting to provoke Mexico into entering the war. Germany claimed that in return it would help Mexico get back the states of Texas, New Mexico and Arizona. When this was shown to the USA it sparked a fire. The country was already tired of Germany attacking their merchant ships, so they joined the Allies in battle. This was a massive blessing to the Allies due to the significant drop in numbers when Russia signed its own Peace Treaty with Germany and left the war in November 1917. As the year of 1918 began, it truly looked as though Germany would be successful in winning the war. But, the tides quickly turned. Both sides were losing masses of their soldiers to the Spanish Influenza virus which killed more men than the war itself. This is when the Germans launched the Spring Offensive upon the Allies on March 21st. They planned to attack as much as possible before the USA’s resources could be fully incorporated. This included strategic plan ‘Operation Michael’ in which they launched one of the biggest bombardments of the war upon the British Fifth Army and the right wing of the British Third Army. Sadly, their attacks were successful. 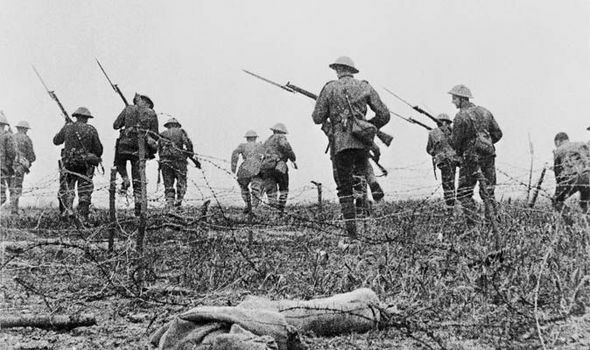 The Allies lost significant ground and were pushed massively back across the Somme battlefield. Germany’s attack, however, was using significant amounts of artillery, they had fired around 1,100,000 shells within 5 hours. They soon found that this was unsustainable, as they struggled to get the amounts of supplies they needed to the battlefield fast enough. This caused their morale to begin to wane. Despite the poor outlook at this point in time, French and British troops didn’t give up. 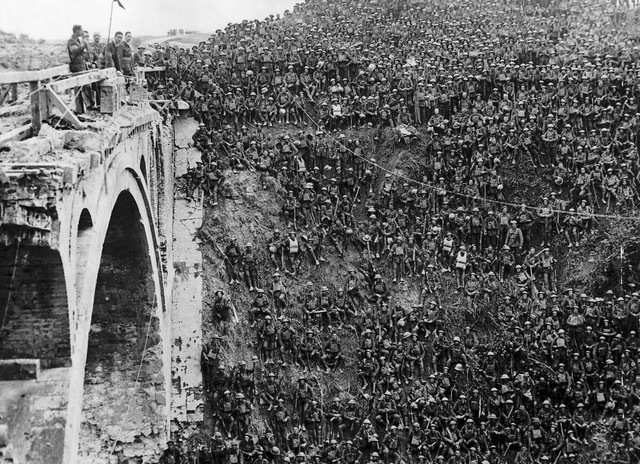 Instead, they fought back beginning their Hundred Days Offensive in August of 1918. This was a series of successfully sustained attacks in which they gradually began to take back the land lost. The Fifth Battle of Ypres which occurred in October was one of these battles which you can read about in our previous blog. During the battle, the troops recaptured Ypres and British troops fought fiercely alongside their Allies in The Battle of Bellicourt Tunnel, which contains St. Quentin Canal - the weakest part of defence in Germany’s Hindenburg Line. The Allies finally broke through the Hindenburg Line on September 29th after a 56-hour long bombardment. Germany began to realise it was fighting a losing battle. The German Navy had gone on strike refusing to fight any longer. Citizens were also protesting on the streets due to food shortages caused by British naval blockades. Leaders of the German Army asked the government to stop the war and end the fighting. There was much unrest at this point within the country. This caused the abdication of Kaiser Wilhelm, German emperor and king of Prussia on November 9th, who was exiled to the Netherlands to preserve order in the nation. 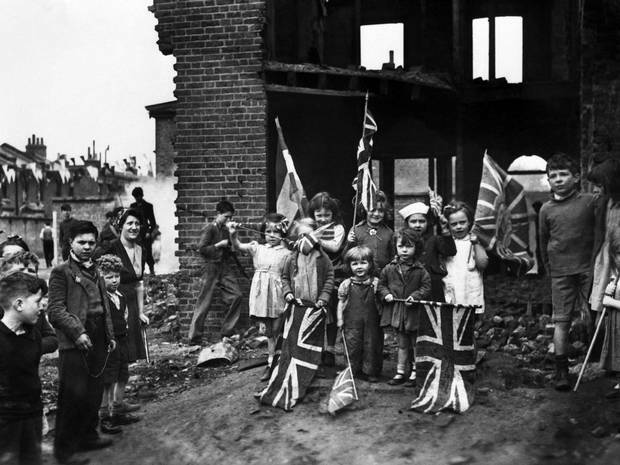 Two days later massive celebrations erupted in all of the Allied countries, as the German delegation signed the Armistice - an agreement to lower the guns on both sides of the war. The terms were largely written by Allied Supreme Commander, Marshal Ferdinand Foch and signed by Matthias Erzberger a representative of the Reich government. German forces had been given a list of Allied demands prior with 72 hours to agree. However, Germany really could not refuse to sign at this point in the war and had little room for negotiation. 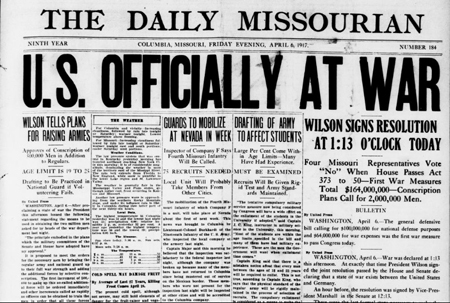 While the official time of the Armistice was 11am - the signing occurred around 5am. The news first reached cities with the most technology. Big Ben’s bells sounded for the first time since the start of the war in London and in Paris the gas lamps were lit for the first time in 4 years. The soldiers on the front lines were the last to know, meaning that some fighting still continued up until 11am. One of the last known British soldiers sadly perished just 90 minutes before this point at 9:30am on the outskirts of Mons, Belgium. His name was George Edwin Ellison, private of the 5th Royal Irish Lancers. 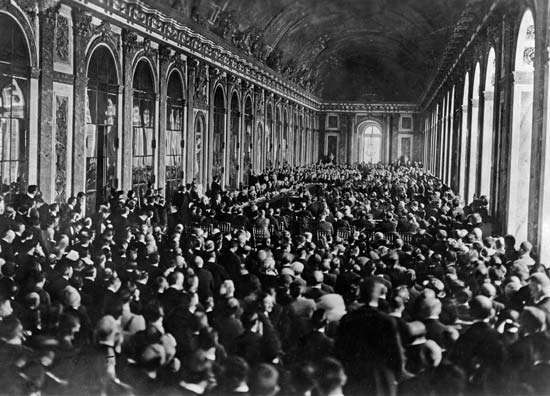 By June of 1919 The Treaty of Versailles was introduced, a more comprehensive version of the armistice to ensure the war was over once and for all. It took 6 months of Allied negotiations at the Paris Peace Conference in a series of meetings called The Big Four. The treaty not only called for Germany to accept all responsibility for the war but also to disarm and pay reparations which totalled around £284bn. It was signed by Germany in the prestigious Palace of Versailles, France, in the building’s spectacular Hall of Mirrors making it wholly official. The location was fittingly the exact place the German empire was declared in 1871. Six new countries were also formed as a direct result of WWI and the breakup of the Austro-Hungarian, the Ottoman and German empires. These were Poland, Austria, Hungary, Czechoslovakia, Yugoslavia and Estonia. Countries of both sides could finally begin to rest and rebuild. Despite this, there was much mourning for the lives that were lost - something that could never be returned. We must always remember these brave men and women who fought to protect their countries - without them our lives would not be as they are today. Later this month we will begin our King’s Shilling Tour to visit many of the locations mentioned here. This unique tour will focus on the end of WW1 and the Hundred Days Offensive.